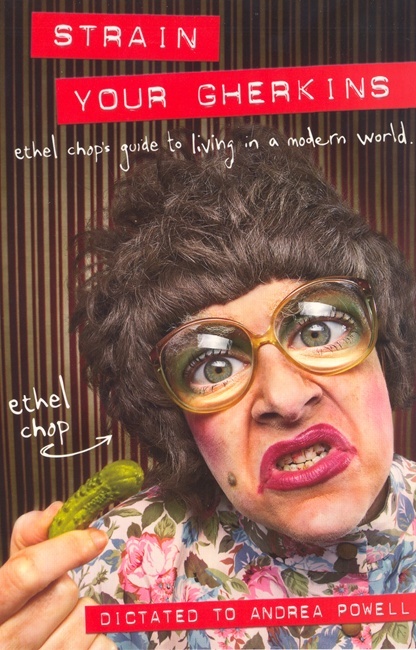 My book Strain Your Gherkins: Ethel Chop's Guide to Living in a Modern World is chock full of helpful tips for busy folk who relish pickles but don't want to go gaga in the meninges. Just click on this link thingy to purchase this wonderful volume. If you've always wanted to dry your dishes with a stunning visage then look no further! These adorable t-towels are now ON SPECIAL down from $99.99 to only $15.00! Or, you can buy 3 for $50 and save a fortune! Click here if you want one and we'll sort something out with the postie. Andrea Powell has a delightful piece in this book.